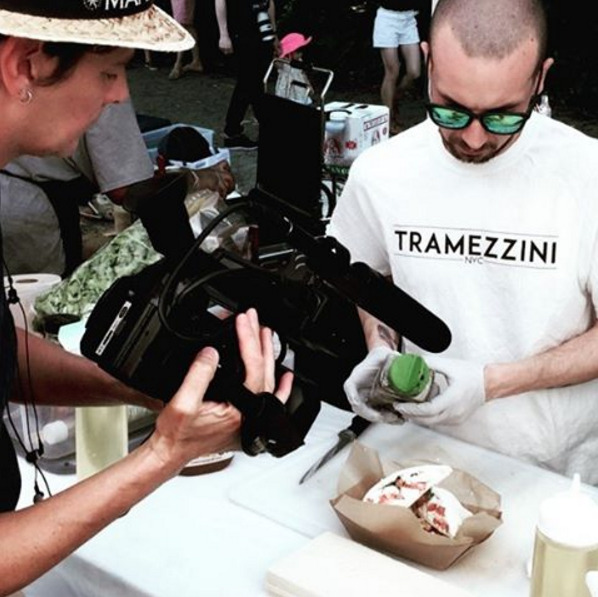 What makes a Venetian Sandwich or so called Tramezzino different than a usual sandwich? The bread, the quality of it's ingredients and the preparation process. We use only artisanal bread from the country side of Venice, healthy, low in calories and made with simple ingredients like flour and olive oil and baked fresh and imported weekly to NYC. 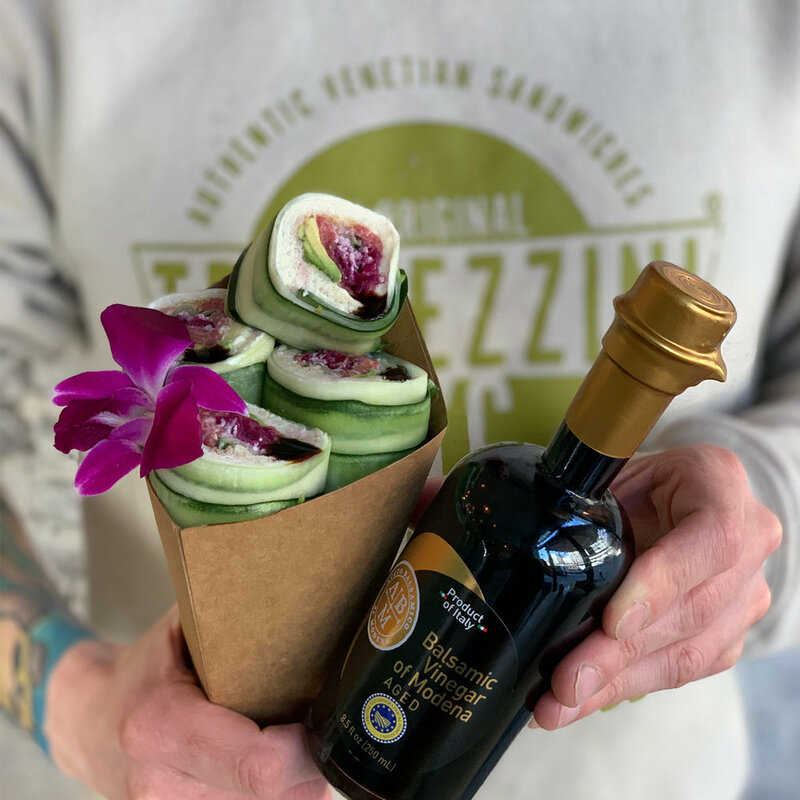 We find quality ingredients imported from Italy and outsource fresh vegetables from the farmers market that grows them the old way, no pesticides, no hormones, all natural, all organic. The actual word 'Tramezzino' was invented by Gabriele D'Annunzio as a replacement for the English word "sandwich", being easier to pronounce and a completely Italian term (albeit a neologism). "Tramezzino" sounds like "in-between", with the addition of the diminutive suffix "-ino"products from the local farmers. The Venetian Tramezzino distinguish itself by the belly, yes.. correct it must have a belly filled with tasty quality ingredients. 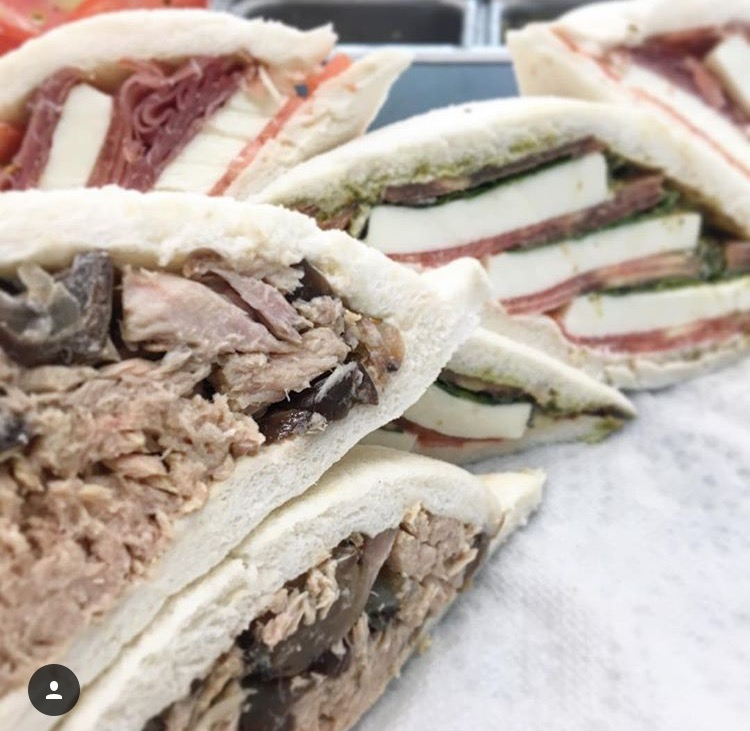 Filippo and Massimiliano Paccagnella started the company in late 2015, becoming the very first food startup to specialize in venetian sandwiches in the USA. 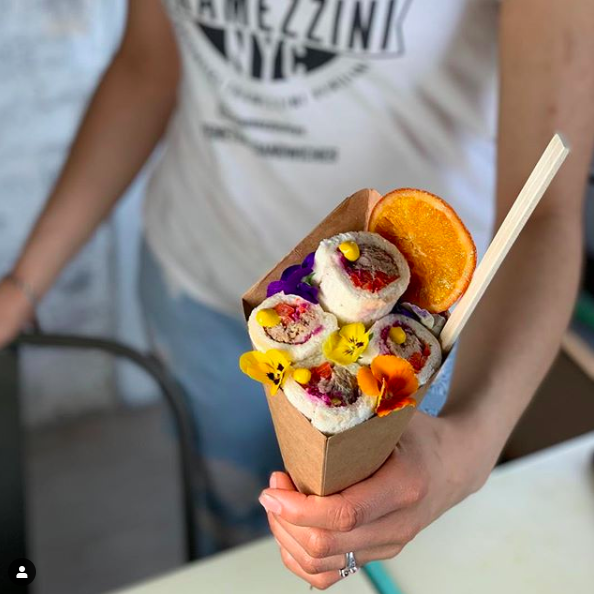 We started in Brooklyn, NY through corporate catering and by entering one of the trendiest street food market in the East Coast: Smorgasburg. Davide Pedon joined us in late 2016 and brings essential business expertise with him, achieved through 18 years of experience in food sales across the globe. Our sour dough bread has only 89 calories per sandwich, no sugar, no preservatives, no animal fat and it's crafted in Venice, Italy. Ready to order? or you can’t find what you want? No problem, fill the form below, we are super happy to make your dream come true! Freight entrance or main lobby? This is exciting! We’ll get back to you asap! CEO/FOUNDER, Filippo founded the company late 2015 and has a design background. An Architect for 10 years in New York City, he is the creative brain, continuously builds the brand and carefully curates all recipes. Business development focus: United States. COO/FOUNDER, Massimiliano founded the company late 2015. His experience in the restaurant industry makes him the perfect manager and coordinator around all things operations and logistics. He is an important key figure of our day to day. CO-FOUNDER, Davide joined us in late 2016 and brings essential business expertise with him, achieved through 18 years of experience in food sales across the globe. Business development focus: Europe and Asia.